Three screens from an iPad app for campers. The app is a concept developed by Donica Ida, an NYC-based designer. 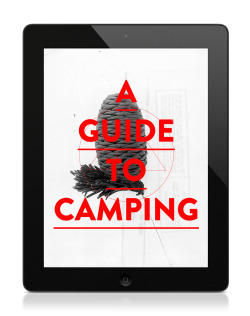 A Guide to Camping covers everything from setting up camp to avoiding bears, first aid basics and distress signals, and making omelettes in a plastic bag—all in a beautifully designed package.